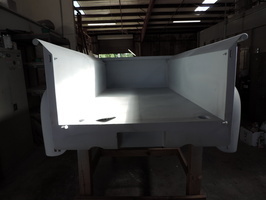 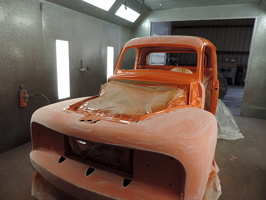 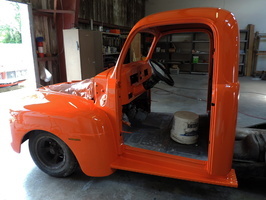 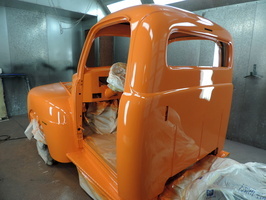 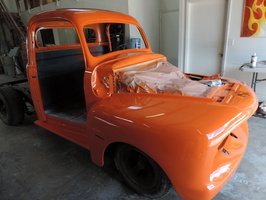 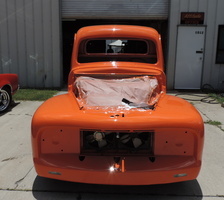 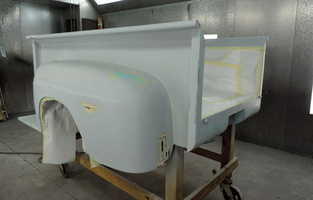 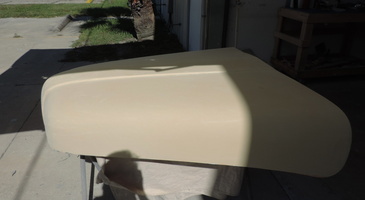 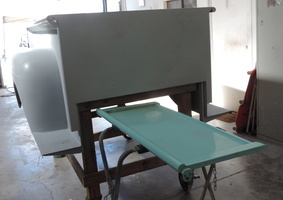 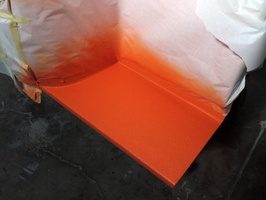 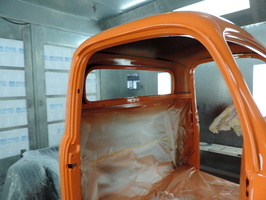 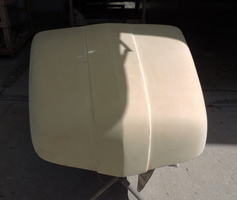 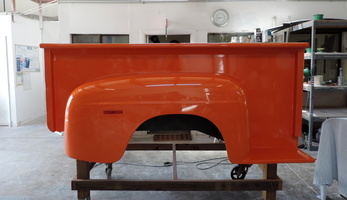 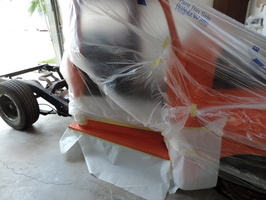 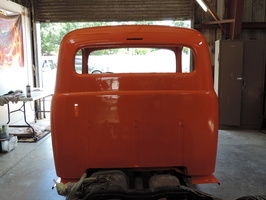 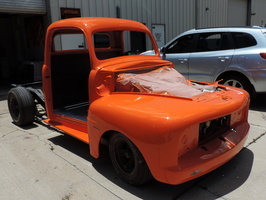 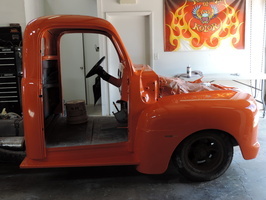 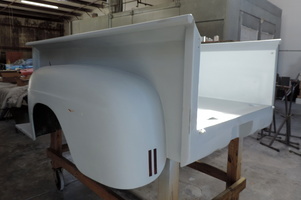 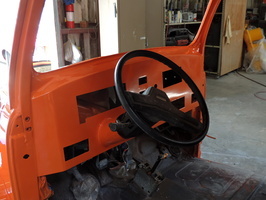 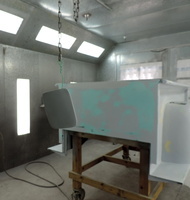 IN PROGRESS: This is another stage of the paint process of this truck - painting the cab & hood & bed. 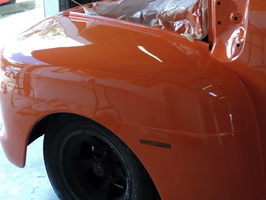 Our customer did all of the bodywork and prep. 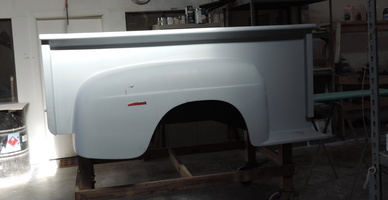 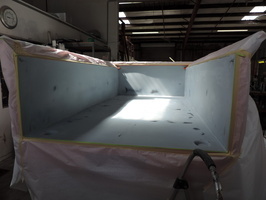 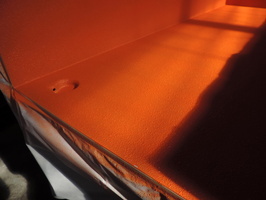 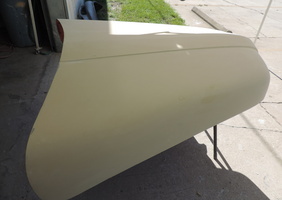 We had primed the bed and hood previously. 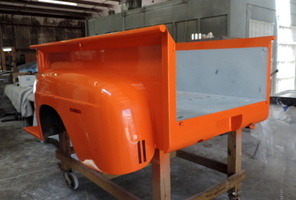 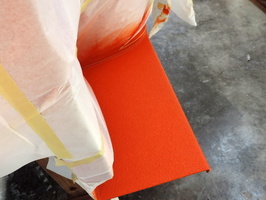 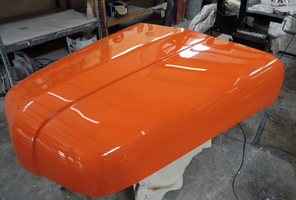 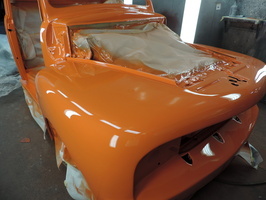 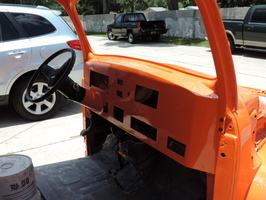 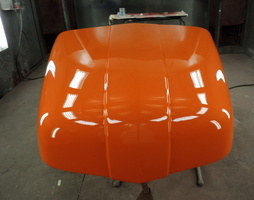 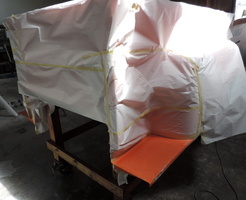 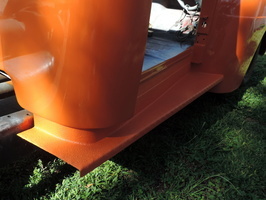 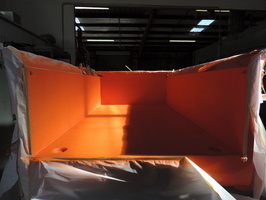 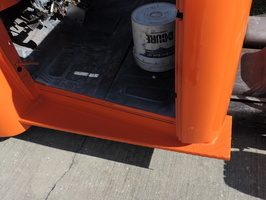 We did a final sand before painting the pieces in a nice right solid orange. 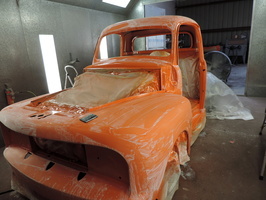 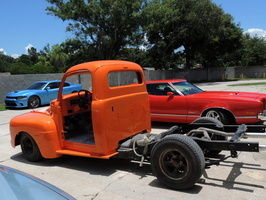 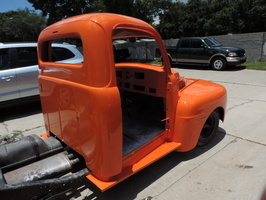 You can see previous work on this truck by going back to the Classic Cars and Truck Gallery page.